When it comes to beverage innovation, moves to lightweighting and a rise in the number of nutritional drinks on offer are a growing trend.From today’s juicy waters to carbonated soft drinks and refreshing still water, clear bottles are the most popular, but today’s big question is still one of cost. So how can producers cut their bottle production costs and keep their customers happy? 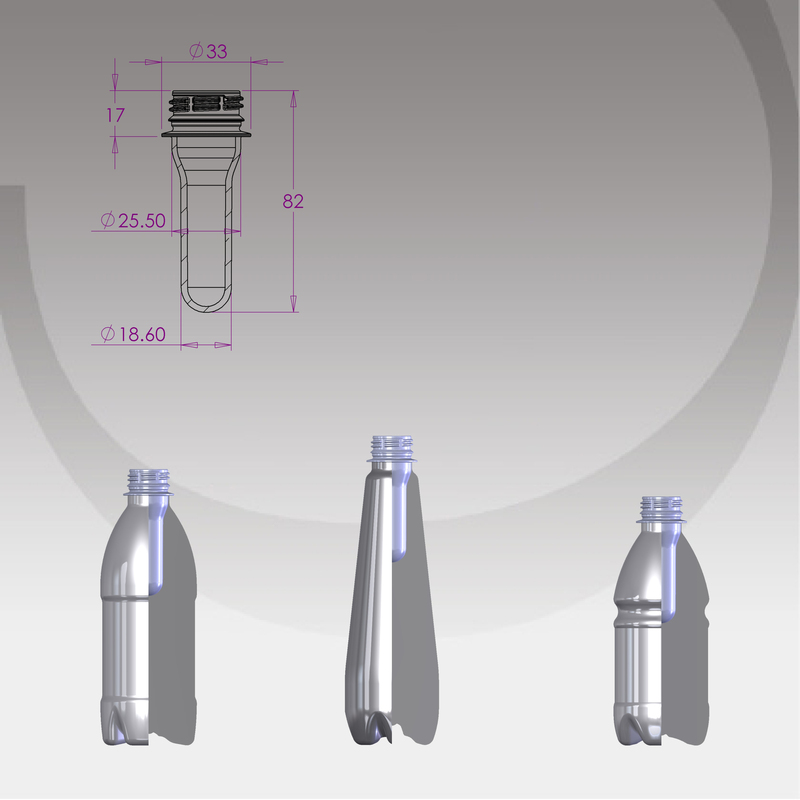 PET converter Esterform Packaging has introduced short neck 28mm 1881 PCO neck preforms for soft drinks and water in bottles from 250ml to 2 litres. These save on expensive PET resin and conserve precious resources – so meeting consumer and retailer demands for sustainability. The lightest preform in the range weighs just 13.6g and works well for individually embossed 250ml and ribbed 330ml bottles, and also for ultra lightweight 500ml bottles for still water. For more individually designed bottle concepts for still water, a lightweight 14.5g preform is available. Esterform’s 18.5g preform weighing just a little more is a cost effective solution for 500ml bottles of sparkling and carbonated products. The 20.8g preform offers the widest range of design possibilities for 500ml bottles – both still and carbonated and for 600ml promotion packs. The 22.3g preform is designed for lightweight 750ml bottles and is the best when it comes to material economy. For a wide range of 1 litre shapes, including champagne based table waters, the 28.3g preform works best and is also suitable for 1.25 litre promotion designs. Esterform’s 33.3g preform was developed for 1.5 litre bottles (for still and carbonated beverages) and is suitable for most 1.5 litre bottle concepts, yet it is very cost-effective. The 37.5g preform works for both still and carbonated products in 2 litre standard shape containers. From large scale manufacturers looking to cut costs on resin and transport, to beverage entrepreneurs about to scale up to meet demand for innovative drinks, it’s worth taking look at Esterform’s 1881 PCO range.Lightweight options with heavyweight potential.